The Hollywood Bowl 2016 season was announced early this morning. The season kicks off with the induction of Steely Dan in to the Hollywood Bowl Hall of Fame on Saturday, June 18th. John Williams returns to the Hollywood Bowl this year. A must see. It seems that the musical has become a yearly event. This year A Chorus Line will performed at the end of July. This year’s movie is Star Trek in Concert celebrating the franchises 50th. Being a child of the 80s I am pumped for Boy George and Culture Club…I tumble 4 ya. I still am not a fan of Movie Night begins just a repeat of the Saturday and Sunday performance. I miss the show when a studio or genre was presented with clips of movies. 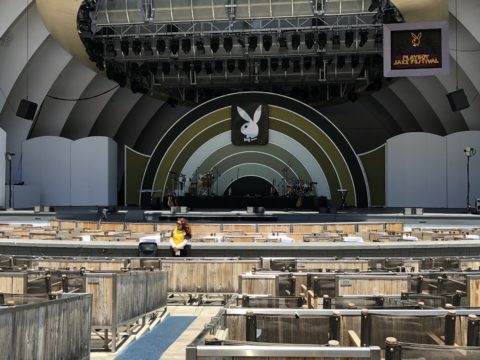 Take a look at the entire Hollywood Bowl 2016 season schedule. ← Hollywood Bowl summer musical is… A CHORUS LINE!